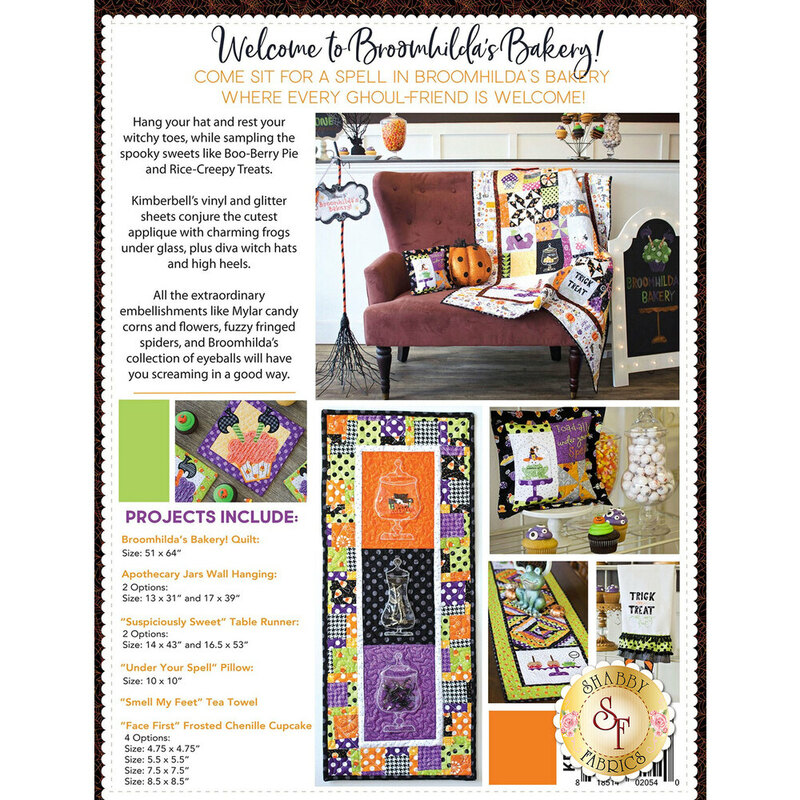 Welcome to Broomhilda's Bakery! 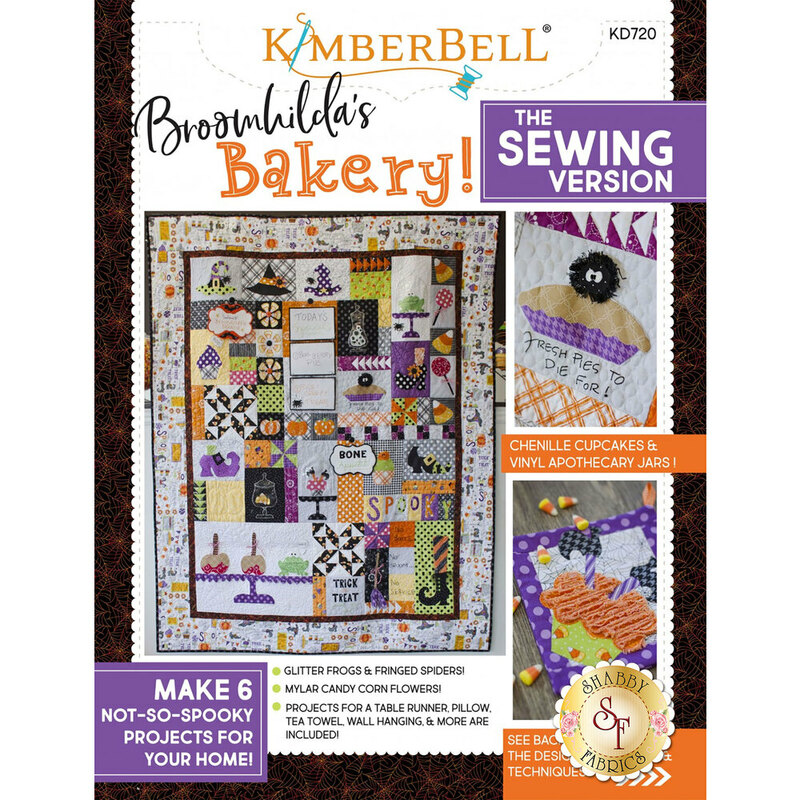 This sewing book from Kimberbell Designs is full of all kinds of sweet treats, including the Broomhilda's Bakery! Quilt, Apothecary Jars Wall Hanging, Suspiciously Sweet Table Runner, Under Your Spell Pillow, Smell My Feet Tea Towel, and Face First Frosted Chenille Cupcake. Includes full color instructions. 60 Pages.